When you're looking for ways to save money without sacrificing comfort or necessities, it's a good idea to honestly evaluate your spending habits. 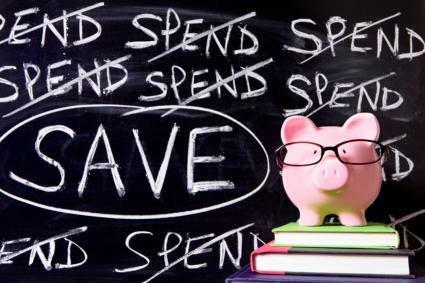 Even if you think you are already being frugal, you just might find that there are a few other money-saving ideas you can incorporate into your life that will make a difference. Buy things with coupons or on sale if they are items you will use and really represent savings. Stock up on double coupon days at the grocery store. Take advantage of bulk buying discounts for foods you use regularly. Plan meals around food items that are on sale and fresh produce that is in-season. Eat meatless meals at least once per week. Look for recipes that "re-create" expensive prepared foods that your family likes, but that cost less to make. Prepare make-ahead and freezer meals so you don't find yourself in a bind when you are too tired to cook. Eat dinner at home instead of going out or picking up takeout. Bring your own lunch to work rather than buying lunch and eat with your co-workers in the break room. Consider do-it-yourself hair color for yourself and think about learning how to cut your children's hair yourself. Professional manicures and pedicures are nice, but they are also expensive luxuries. Start taking care of your nails at home and save. Take advantage of end-of-season sales to stock up on clothing for the children and adults in your household for the next year. 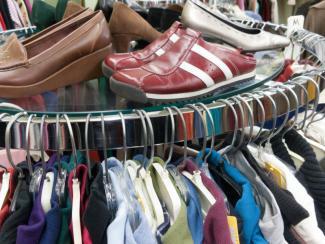 Take outgrown and no-longer-worn clothing items that are in good condition to consignment shops for sale. Check thrift and consignment stores yourself; you may find great deals on clothing and other items that you need to purchase. Hiring someone to clean your house runs counter to frugal living. Take care of this task yourself. Stock up on gifts when you find great clearance sales. Do you really still need a land line phone? If not, eliminate the service. If so, look for a cheaper solution than what you currently have. If you are paying for gym memberships that no one in your home uses, cancel them. If you subscribe to print magazines that you don't read or that have information that you can get online free, do not renew them. Cancel memberships in professional and social associations that you don't have time to participate in or that you have lost interest in. Trade children's clothing and school uniforms with friends who have kids who are older and/or younger than yours. Rather than purchasing disposable seasonal decorating items, wait for sales and buy items that you can reuse year after year. Turn your heat down or your air conditioner up to control your power bill. Make sure that windows and doors are properly sealed to reduce energy costs. Unplug electrical appliances and gadgets when not in use to keep your power bill to a minimum. Replace old light bulbs with new, energy-efficient fluorescents. Take shorter showers and don't allow water to run while brushing your teeth to cut back on your water bill. Promptly repair leaky faucets and drips. Do not run your washing machine or dishwasher before they are full. Check books out of your local public library rather than purchasing new titles to read. Cancel your expensive cable or satellite TV subscription and go to Hulu and/or Netflix instead. Schedule regular family movie nights or family game nights at home rather than going to the movies or other costly venues. Make a calendar with free events going on in your community, such as festivals and outdoor concerts, and plan your outings around what is available. Visit no-cost venues such as parks, museums, hiking trails, public tennis courts, etc. when you want to enjoy an afternoon out. Trade babysitting services with a friend on a regular schedule so you can enjoy evenings out without spending a fortune on childcare. If your kids are participating in activities that they don't really enjoy, cut them out. Live within your means. Set an allowance for household expenses and other costs and stick to it. Open a savings account if you don't already have one. Find out the exact fees associated with your checking account and shop around to look for options that cost less. Credit unions often offer the lowest fees. Pay for purchases with your debit card rather than writing checks to eliminate (or cut back) the amount you spend buying checkbooks. Utilize no-cost online bill-pay or telephone payment services to save on postage and printed checks. 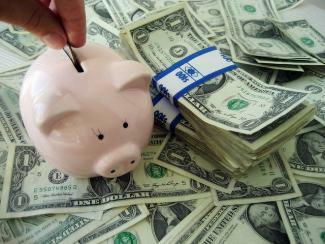 Have a small amount from your paycheck (even just $10 a week) directly deposited into a savings account. If you get a raise, put the difference (or a portion) into savings rather than spending the increase. "Hide" money by using your checkbook register. Every time you deposit money, round down to the nearest dollar. Every time you write a check or have a debit transaction, round up. Empty your pockets into a change jar each evening and deposit the accumulated money in the bank once a month. If you can discipline yourself to pay off your credit card balance every month, look for a card that offers a cash rewards program or a points system that allows you to earn free items. Sign up for rewards programs with stores where you shop regularly and accumulate points toward future purchases and special discount offers based on your everyday purchases. Participate in online rewards programs that provide you with opportunities to save, such as MyPoints and SwagBucks. If you travel for work, be sure to sign up for frequent flyer and hotel rewards programs; if your employer lets you keep your points (most do! ), you can accumulate opportunities for free leisure travel. Do you have more than 20 percent equity in your home? If so, contact your lender and discontinue your private mortgage insurance (PMI). If you are purchasing a new home, try to wait until you can make a down payment of at least 20 percent of the costs to avoid PMI. If you are handy and are willing to devote time to remodeling, consider getting a fixer-upper in a nice neighborhood rather than paying a premium price for a home that is in perfect condition. When looking to upgrade your car, sell your old vehicle on your own rather than trading it in; you'll likely get more money for it through a private sale. Purchase a used car rather than a new one; cars depreciate very quickly and you can save thousands of dollars by purchasing one that is just a few years old. Consider the maintenance costs of any vehicle you purchase. Find out what maintenance schedule is needed, how much to expect to pay for tires, etc. Be sure to consider gas mileage when choosing a vehicle, as fuel costs are certainly a major portion of most household budgets. Call your insurance provider to find out the cost of coverage options for the different kinds of cars you are considering. Seek financing from sources other than the dealership -such as local banks and credit unions- to find the best interest rates. Properly maintain your vehicle, as doing so can reduce repair bills and maximize gas mileage. Keep the tires on your car properly inflated. Carpool or use public transportation when possible. Walk or ride a bicycle when you can. Map out driving routes based on scheduled appointments and what errands you need to run to reduce duplicated mileage. Properly maintain your appliances and by keeping them clean and performing any recommended maintenance tasks, like changing air filters and cleaning the dryer vent regularly. Rather than immediately shopping for new appliances when yours start acting up, call a professional repair service to see if repair is a cost effective solution. If your appliances are starting to get old, consider purchasing a home warranty that provides repair service for a flat deductible and funds toward replacement. When you purchase a new appliance, always look for a sale. Compare brands, features, and prices. Buy exactly the features you need, to be sure you pay for only what you will use. Consider energy efficiency ratings when selecting new appliances, keeping in mind that the cost of operation is an important consideration. Look for about "scratch and dent" items at retail stores. Often in perfect working condition, they are usually floor models offered at deep discounts that only have a little wear and tear due to customer traffic. If an appliance factory is located near you, call and ask if they offer direct sales. You can save hundreds of dollars by purchasing directly from the manufacturer and eliminate the retail middleman. Clean your furniture regularly, including upholstered and wood items. If your furniture starts to look worn, but is still sturdy, consider using slipcovers rather than purchasing new items - or look into the cost of re-upholstery. Shop for furniture items that you need in secondhand stores and consignment shops before paying retail. Be sure that you are claiming all deductions available to you. If you have a mortgage, have children or have unreimbursed business expenses, the cost of professional tax preparation may well result in overall savings on your taxes. Rather than waiting until tax time to deal with what you owe, meet with a tax professional and develop a tax plan so you can make wise income, investment and deduction decisions throughout the year. Sit down with your spouse or significant other and come up with a budget that you can both agree to live with. 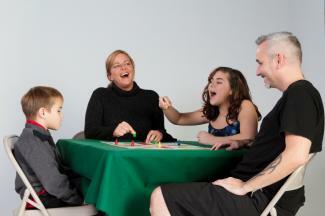 Involving everyone in the family in your money-saving efforts (including kids!) may lead to great success.